Download "SRL Networks Presents Debose" on the SRL Record Store. Meet Debose, president of F.A.M.E LYFE. F.A.M.E Lyfe was founded in 2011 by Darien D. Tilmon, Darren D. Tilmon Jr. and Mark A. Hill. Together these three entrepreneurs had the collective foresight and vision to take their passion for business and music to the extreme. From the music genres of Rap, R&B, Rock n' Roll & Gospel Rap, F.A.M.E Lyfe's approach to the music industry is to explore, promote and produce each of its musical entities to the extreme. Realizing that the music is ever changing, F.A.M.E Lyfe's artist and promotions team stays on the cutting edge of artistic sound and innovative promotions. F.A.M.E. Lyfe is determined to be a company that is not defined by one genre of music but rather one that explores all avenues. 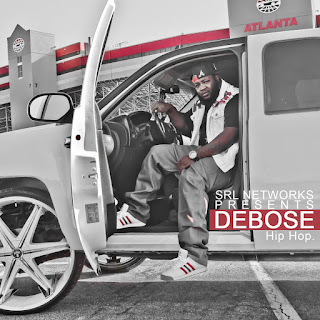 Listen out for Don't Count Me Out, Exotic and other great tracks by Debose on Skunk Radio Live Hip Hop Playlist Shows.